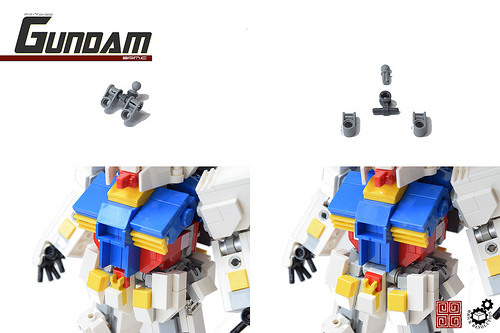 Mecha builder Sam Cheng amazed us with his trio of Autobot Transformers, and he’s back again with another classic all-time favorite, the RX-78-2 Gundam. 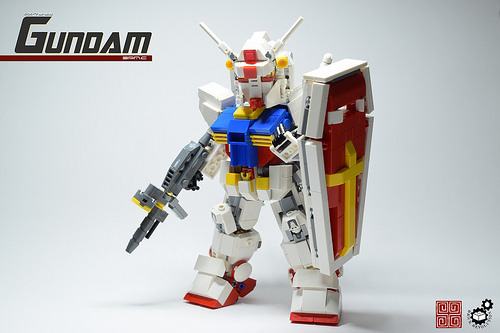 At an estimated 700 piece build weighing in at 0.66 pounds, Sam spent a period of 3 weeks with some amount of interruptions to build this detailed brick mecha including a good deal of time ensuring that he could capture a number of signature poses. 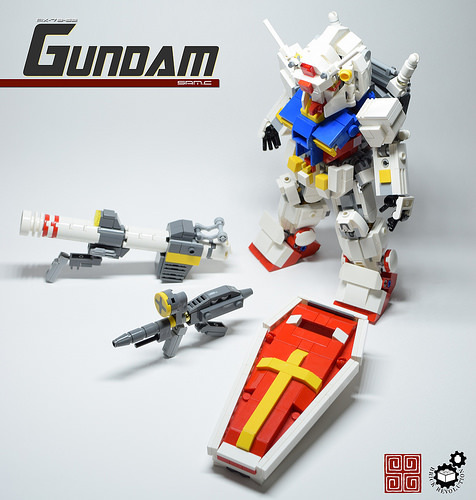 What enabled that wide array of poses is a system he engineered as the “Centre of Gravity Shift” (CGS) system, enabling him to flexibly adjust the center of gravity to avoid the Gundam figure from toppling over in different postures while handling weapons or a shield. The system consists of four parts that not only hide the waist joint from sight but also allows unhindered waist movement in all directions. It is able to shift the center of gravity of the entire upper torso horizontally forward and backwards by about a stud’s length. The shield is another feature which Sam is proud of. 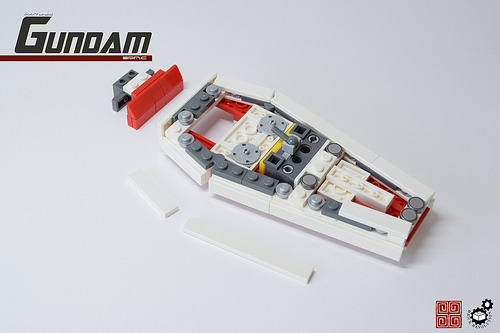 It’s all built using legal and rigid connections that not only hold, but look amazing too! A peek on the insides give you an idea of the amount of work behind the scenes.